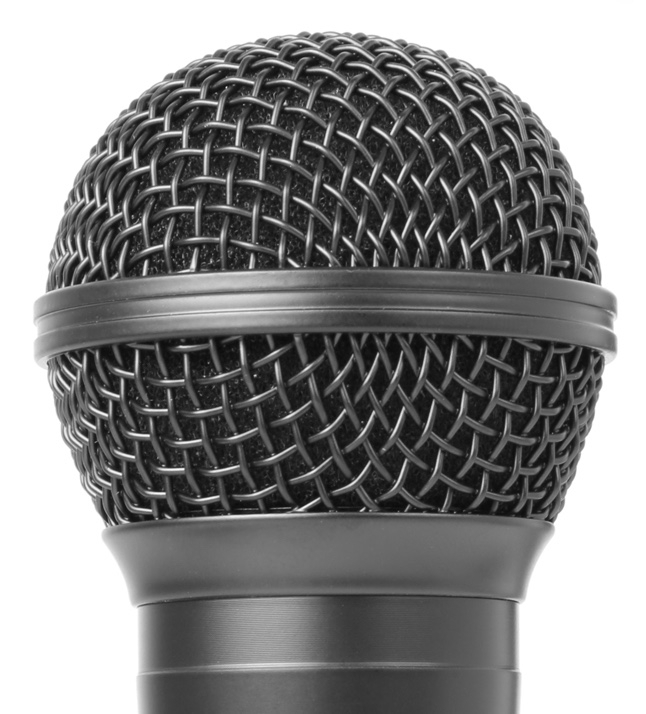 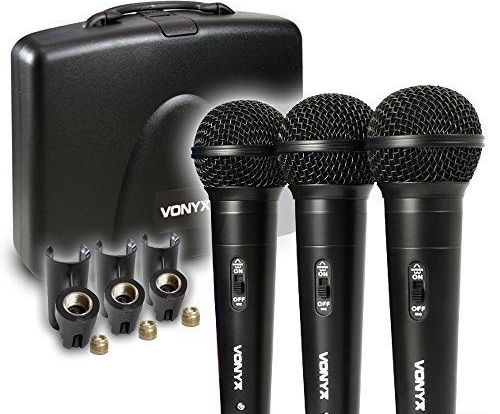 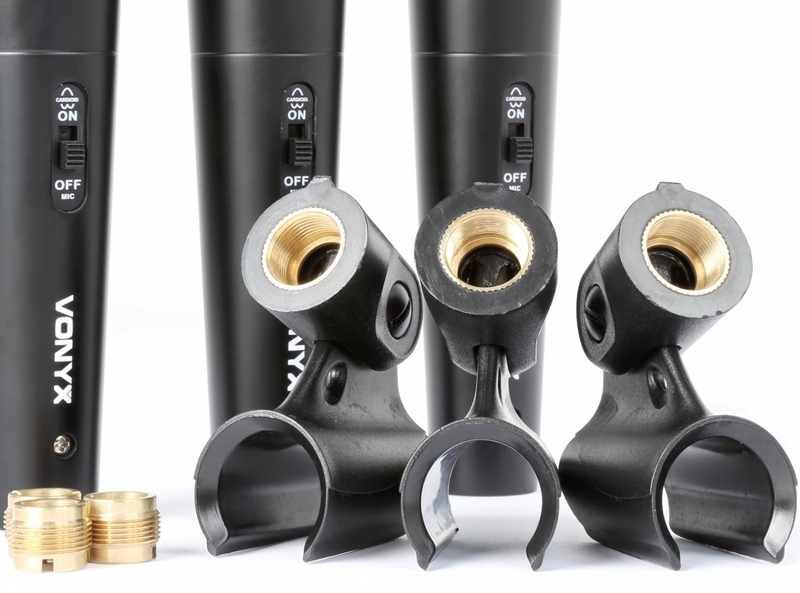 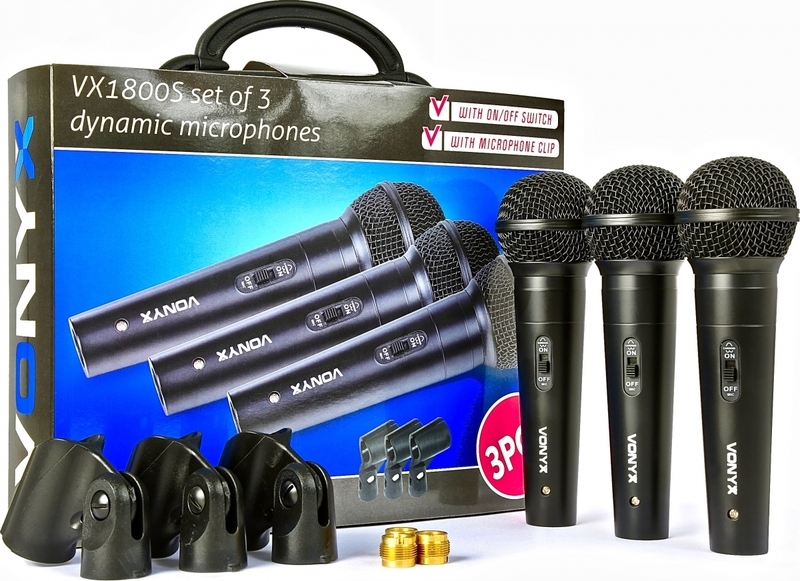 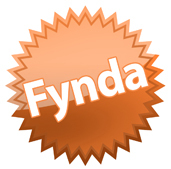 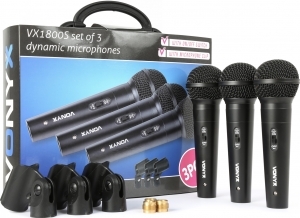 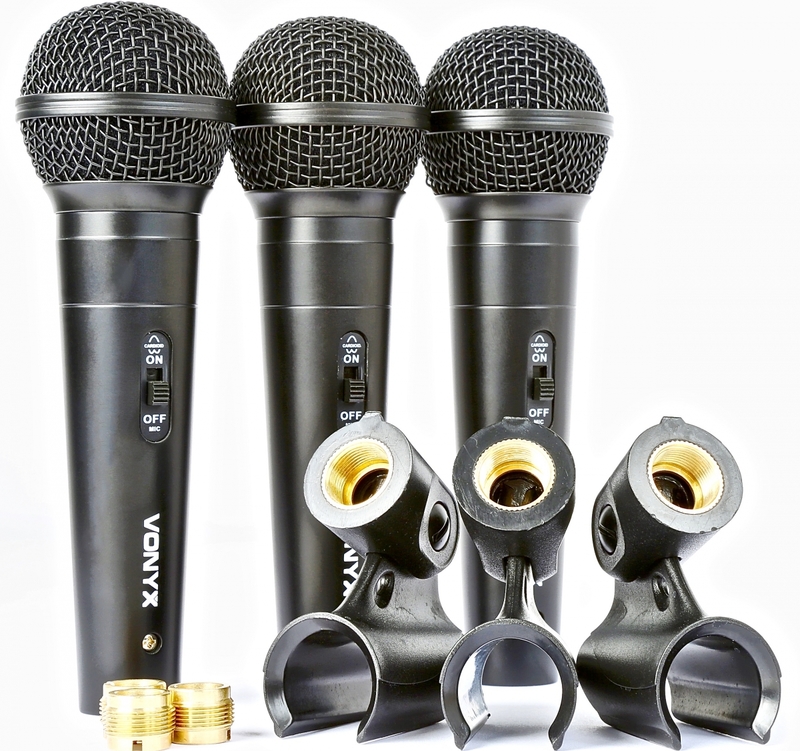 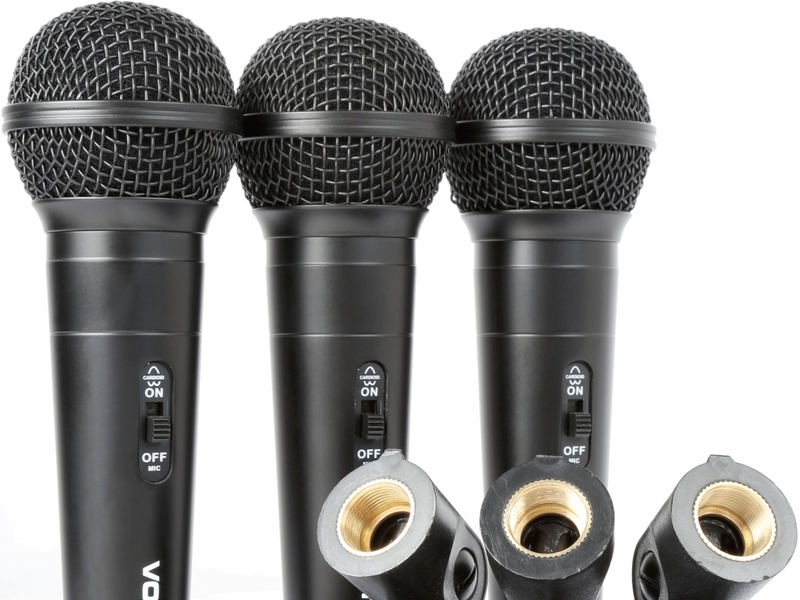 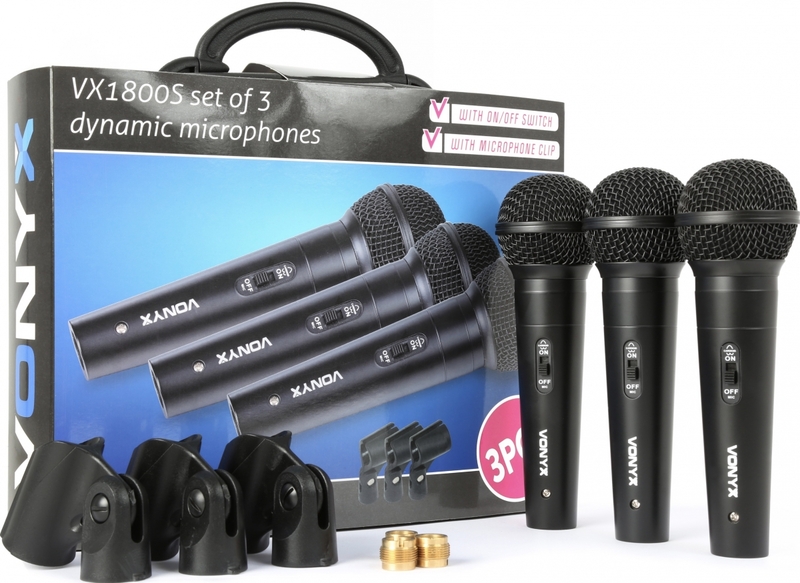 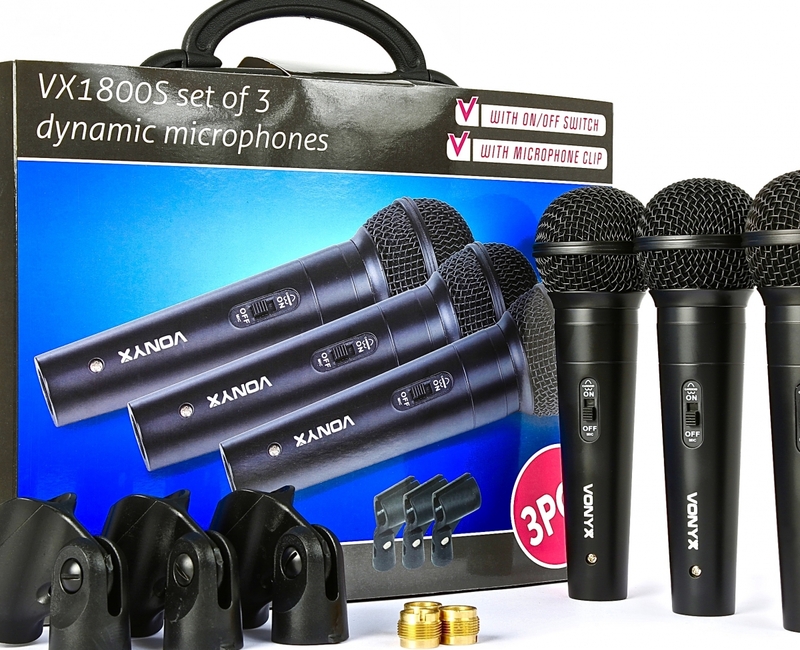 3 cardioid dynamic microphones, ideal for presentation, vocals, karaoke etc. 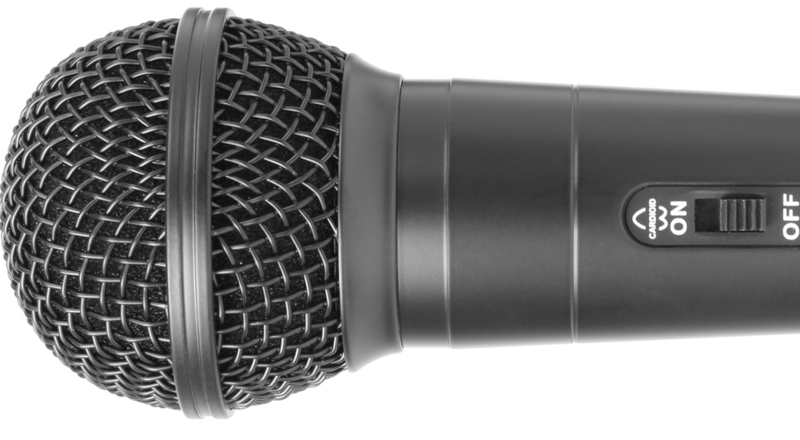 With built-in pop shield and durable metal housing. 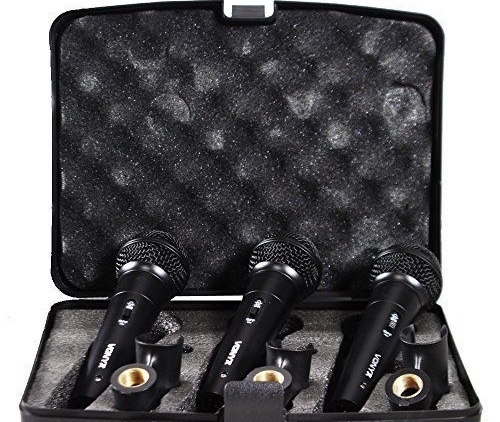 The 3 in 1 kit comes to a very attractive price, supplied with 3 microphone holders in a practical ABS case with protective foam.